Toffee, blueberry, cranberry, malt and a little blood orange. Later almond and hazelnut. Toffee, goji berry, blueberry and apple. Falls apart when adding water, it needs its strength. Toffee, mocha, goji berry and apple. Overall a decent dram, but quite a forgettable one, too. The nose is quite sweet with a well pronounced fruity side on oranges and tangerines, but there is a fair amount of chocolate and toffee too. Alcohol is easily detectable too. Some slight off notes of varnish. Full bodied, oily, creamy, with the obvious sherry cask influence. Stewed plums, orange marmelade, some liquorice, there is also a slight winey side to it. Milk chocolate, fudge, a pinch of pepper and ginger. Medium long with sweetness of the fruits developing into a rather tannic, drying aftertaste. Thanks for the sample Diogenes! 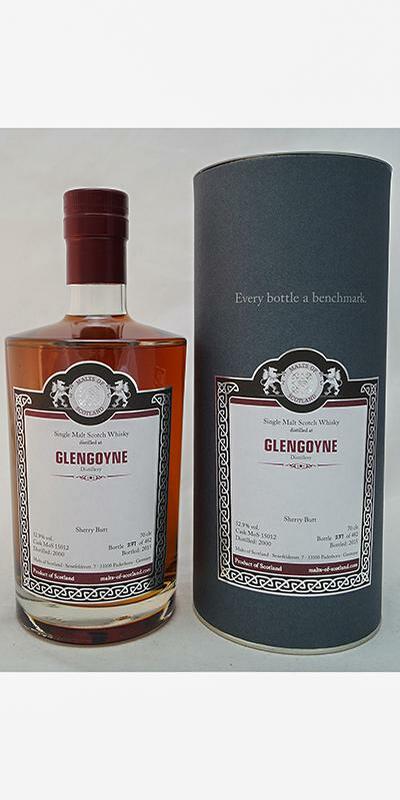 A nice Glengoyne with an even better finish. and pastry. Around 80 EUR. of milk chocolade. Freshly polished leather. Nice. alcohol level, it arrives pretty softly, but spicy. Creamy too, almost syrupy. foam. Crème au beurre. This is special. the same and pleasantly long. It leaves the mouth warm. A lot oj juicy oranges and marmelade on the palate. Some oakiness, too- not a bad one, but not so complex. Alcohol is very well integrated. 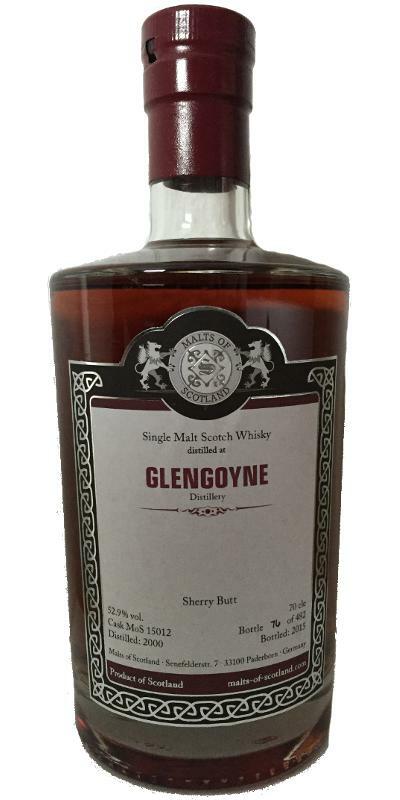 Pretty solid Glengoyne.